They're also expected to stress a lot of Americans out in every part of their lives. And that includes at the office . Consequences include marital stress , divorce , family separations and even sharp divides over national pastimes like football. I wanted to see just how bad it's getting in the workplace. My field study, conducted this past summer and part of a larger project I intend to have peer-reviewed and published on the anxiety-inducing properties of political conflict, conjoins my interests in the areas of incivility , entitlement , worker self-serving behavior and bullying . Using students to solicit participants in a survey has become an increasingly common and important research tool. As such, although the data aren't entirely representative of the U.S., I believe they still offer meaningful insights. Over a quarter said political divisions have increased their stress levels, making it harder to get things done. Almost a third of this group said they called in sick on days when they didn't feel like working, compared with 17 percent among those who didn't report feeling stressed about politics. A quarter also reported putting in less effort than expected, versus 12 percent. And those who reported being more stressed were 50 percent more likely to distrust colleagues. What the 'right' policy about what boundaries to set for political chatter at work remains an open question. The key point is that the business leaders I spoke with tended to agree that managers need to get their heads out of the sand and address the problem head on. They seemed to think a lot of managers appeared to be ignoring the problem and hoping it would go away. At the end of the day, there's little companies can do about how politically divided the nation becomes. 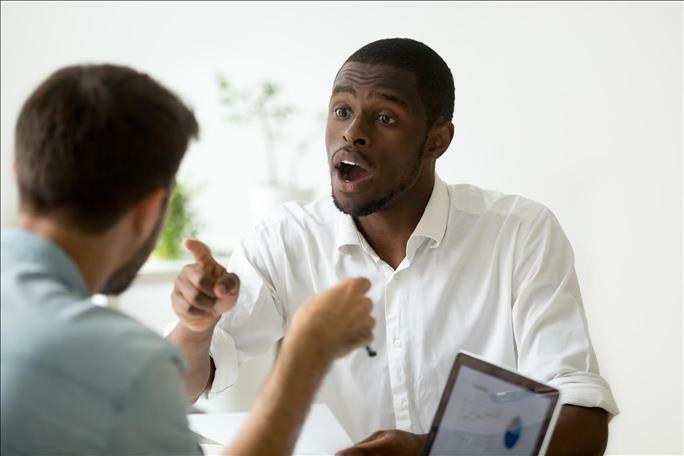 But keeping it from stressing out employees at work and causing productivity and other problems is primarily about effective leadership and being proactive, and showing employees a level of civility that is often absent outside of the workplace.